(Natural News) From the forests of Finland comes a new product made from the most common waste material of the wood industry. A startup company is turning wood pulp into a fabric that could become a viable alternative to cotton, an article in Fast Company stated. Spinnova set up its brand new factory in Jyväskylä. The city has easy access to a plentiful supply of wood. It is also home to thriving lumber and paper industries, making it one of the best candidates to house the startup’s pilot project. The company’s wood pulp-based fabric is not the first textile to be made from wood. However, the production of rayon and other wood-based fibers require the use of carbon disulfide. This synthetic chemical is dangerous to human workers. When discharged alongside wastewater, it can contaminate the environment. Thankfully, Spinnova’s new textile dispenses with the need for such toxic chemicals. It uses a mechanical method to turn the wood pulp into fabric. The sole waste product of the process is evaporated water. The water vapor is easily captured, cooled down, and reused to make another batch of fabrics. The wood pulp used as raw material is a waste product of wood-related industries. So using it to make textiles is a form of recycling in itself. In comparison, cotton uses large tracts of land and significant volumes of water. The cash crop is often grown in regions that are vulnerable to droughts and shortages. Finally, it is heavily reliant on pesticides that poison the soil. Spinnova uses wood pulp that has been certified by the Forest Stewardship Council. Their process grinds it down into microfibrillated cellulose, a material with the consistency of gel and loaded with microfibers. The cellulose is forced through a machine to create a fibrous network. Spinning and drying the fibers results in a wool that feels firm and fluffy on the skin. 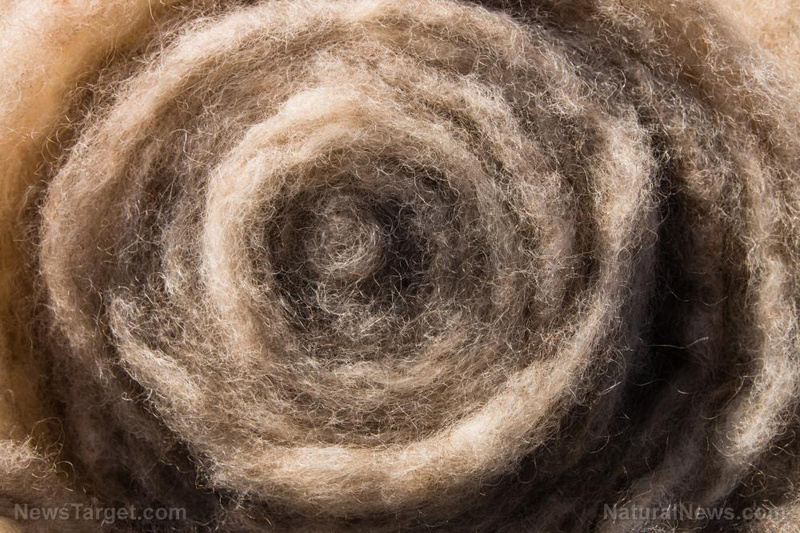 The wool can be knitted or woven into fabric. From there, it could be turned into other textile products, such as clothing and shoes. Spinnova’s choice of using wood pulp stems from the many sustainable managed forests in Finland. They claim they could outproduce the world’s yearly cotton production if they converted Finland’s annual lumber output into fabric. It could also get wood pulp from outside the country. One of its investors is a Brazilian forestry company that raises eucalyptus trees. In addition to making the fabric from “fresh” wood pulp, Spinnova believes their process could also recycle their fabric. Furthermore, they believe they could maintain the high quality of the product. Recycled fabrics are usually of lower quality. This is attributed to the way the recycling process chops up fibers. However, Spinnova’s fabric is made from nanoscale fibers. The extremely tiny size of these fibers preserve their quality. The startup company even believes it can recycle cotton and other forms of cellulose to create new fabrics with high quality. Visit Discoveries.news if you are interested in reading more articles about eco-friendly fabrics made from wood pulp.